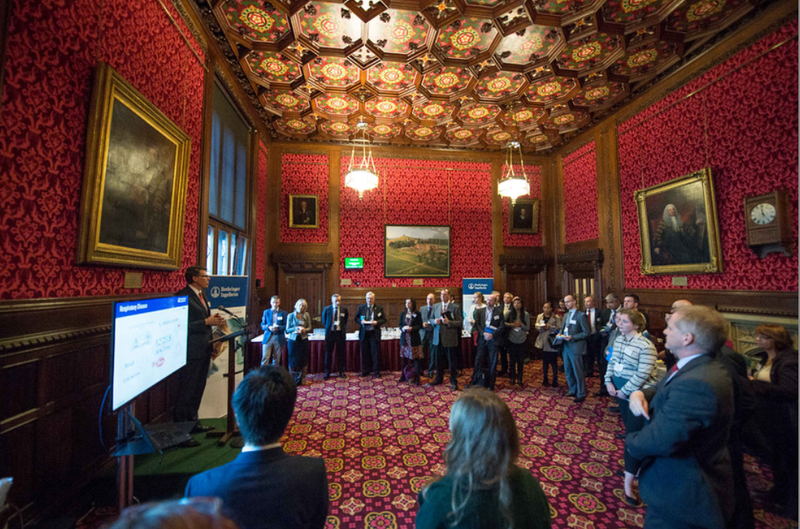 Tuesday 20th October 2015 saw the Communications Team launch BI’s health policy briefing document in the Strangers Dining Room at the House of Commons. The policy document has been developed by the team to outline specific asks of the recently elected Government on issues such as NICE, the Pharmaceutical Price Regulation Scheme (PPRS), Specialised Commissioning and in the therapy areas where we major. Coinciding with the State Visit to Parliament by the President of China, there was a moment when it looked like people weren’t going to be able to gain access to the building, but we remained calm and welcomed over 50 guests to our reception. These were made up of a wide range of our stakeholders, including MPs from all sides of the House, Lords with an interest in Health, staff from the Department of Health and NHS England – including the Chair of NICE and the National Clinical Director for Diabetes – and a range of clinical stakeholders who had come to hear what we had to say, along with representatives from patient organisations with whom we have been working closely over the last few years. The objectives at the event were to launch the policy document, demonstrate data from it using infographics and to showcase BI’s commitment to patient centricity through the white paper we recently published on this topic. BI’s Medical Director and Managing Director, Professor Klaus Dugi, opened the meeting by welcoming people and outlining BI’s history. He went on to state why, with an ageing population, long term conditions are becoming increasingly important and why, with patients having a greater say in who treats them, where they are treated and what medicines they receive, BI has changed to become more patient centric by focusing on patients and carers as end users, alongside health care professionals. Following Professor Dugi, Phillip Lee, MP, our local Bracknell MP and sponsor of the reception, spoke about the value BI brings to Bracknell and how much he appreciates the loyalty the organisation has shown to the area. 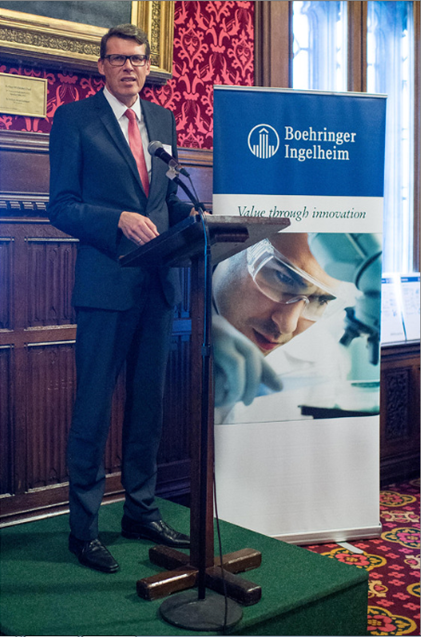 He referred to the commitment the Company has always shown to innovation and its success in bringing life changing medicines to patients in conditions where there is a high need. Next to speak was Dr Tony Soteriou, Acting Deputy Director, Head of Research Infrastructure and Growth at the Department of Health. Dr Soteriou talked about the importance of the pharmaceutical industry’s contribution to clinical and medical research in the UK, and specifically mentioned that the National Institute for Health Research (NIHR) and BI are currently collaborating on 58 research projects across the UK at the moment. Mandie Lavin, Board Member of the Patients Association ended the speeches, reiterating the points that Professor Dugi had earlier made about the increasing importance of the views of patients in decisions made by the Health Service. Endorsing BI as leaders in the field of patient centricty, Mandie Lavin’s take home message was that patients aren’t just at the centre of the NHS, they are everywhere within it and around it. The whole event provided an excellent opportunity not just for BI to showcase its work but for all who attended to share experiences and build relationships that will remain in place beyond the meeting and lead to further opportunities to shape national policy.